Miles Brett is a busy freelance violinist and viola player performing with many orchestras around the country including the Guy Barker Orchestra, Heritage Orchestra, London Contemporary Orchestra and the Urban Soul Orchestra(frequent Leader and Director). With these ensembles and many more he has played around the world and in most of the large UK concert venues, including The O2 Arena and The Royal Albert Hall(BBC Proms). Miles has played on many sessions at London’s top recording venues with performing artists such as Mary J Blige, Leona Lewis, Professor Green, Paloma Faith, Tim Minchin, Muse and Il Divo. He also has keen interest in chamber music with his string quartet holding a residency at Lord’s Cricket Ground and performing the to the First Lady Michelle Obama upon her arrival for London 2012 Olympic Games. In 2015 Miles became co-leader of Europe’s first black and ethnic minority symphony orchestra, Chineke! Orchestra. Making their 5 star debut concert at Queen Elizabeth Hall in London. 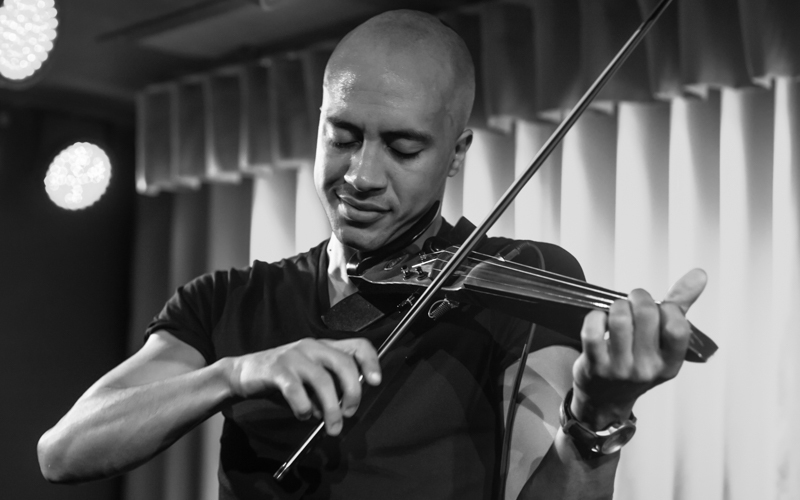 As an electric violinist, Miles has played with DJs in major clubs and venues around the world. Miles also extends his talents to in the Jazz and Blues world, touring with artists such as Neil Cowley Trio, Otis Taylor and collaborating frequently with trumpeter Jay Phelps.